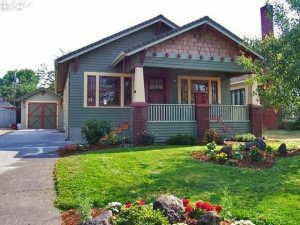 For the past several years, if you’ve owned a house around Portland, you’ve probably had the opportunity to sell it for a sizable profit. According to the economists who presented at Friday’s housing market forecast for the Home Builders Association of Metro Portland, things are starting to cool off. The market isn’t climbing at the pace it was, but prices are still expected to climb. One of the reasons is home builders are still struggling to keep up with demand. Construction companies are trying to work on that. Wages have gone up as they look to recruit more workers, but it’s uncertain if that will be enough as a new wave of buyers enters the market. “Millennials are moving from rentership to home ownership and it’s really just an open question of whether builders can build enough single family housing to meet the demand,” said Dietz. The good news is there’s no economic sign of an impending recession or downturn. Buying a house is still a reasonable investment, though Duy said you shouldn’t put all your eggs in that one basket.